For the Scenes From The Road Challenge. 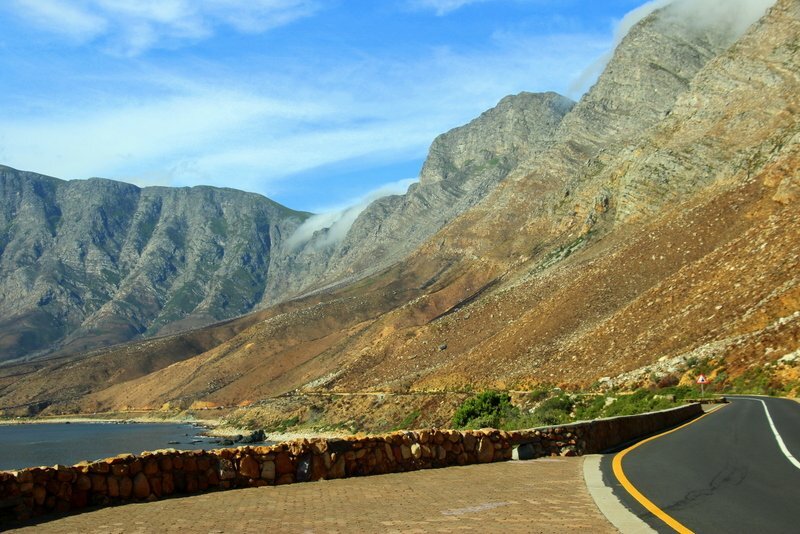 We took a drive along the coast road today and, again, I was horrified at the devastation caused by the recent fires. I did however like the little wisps of cloud creeping over the mountain. It's horrid to think about the damage done by the fires. I like how the line of the road draws one's eye into the picture. One wonders whether it will ever be green again but I do think it happens! Massive rocks! Oh how sad. I do hope more trees will be planted. It will soon be green again, lovely shot. I like this one a lot, especially those cloud wisps.